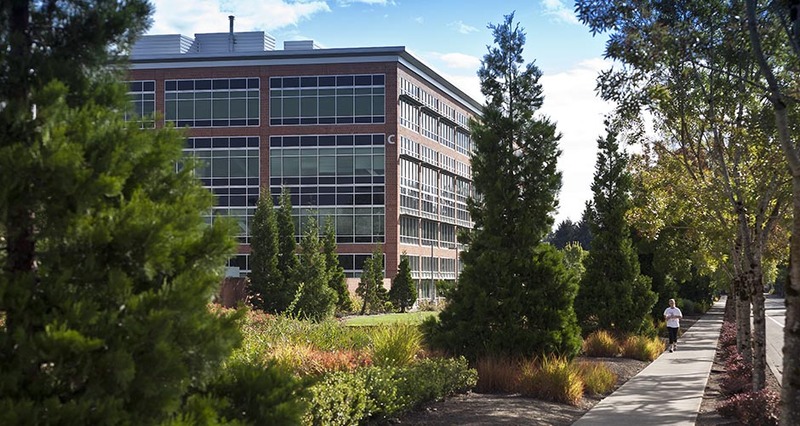 Situated on a 58-acre site, the Lam Research corporate campus will eventually include up to 12 buildings totaling approximately 1.3 million SF. 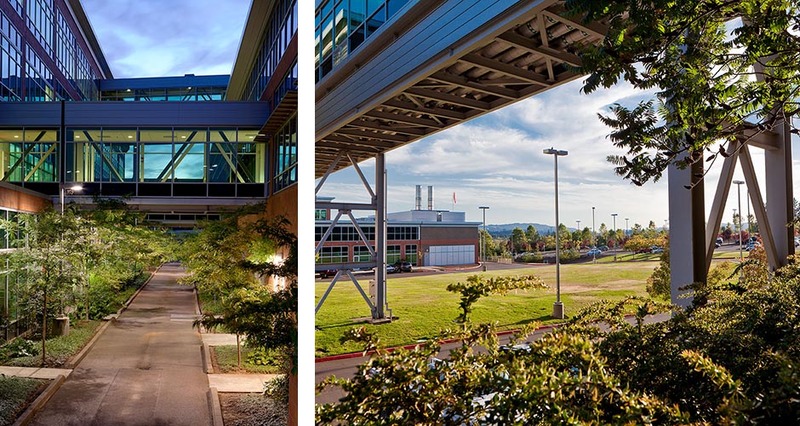 Master planning and site design for the entire campus included assistance in phasing the development to meet the timelines dictated by the client’s market requirements. 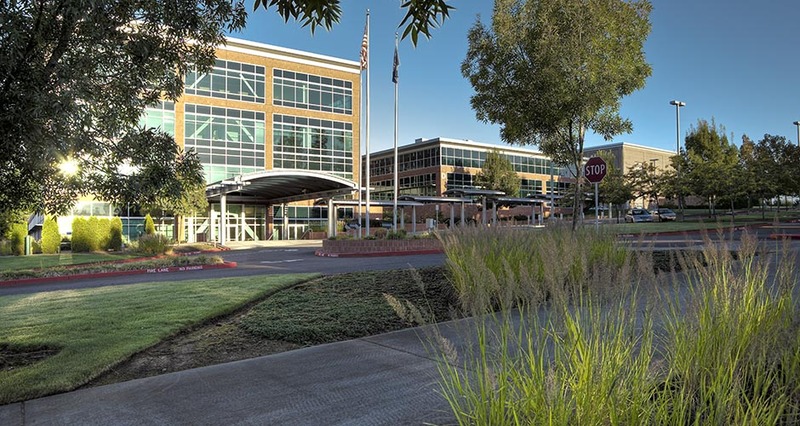 The $150 million first phase included 19.6 acres and four buildings: a manufacturing facility with clean rooms, an engineering building with clean rooms, a site services building, and a 2-story central utility building (CUB). 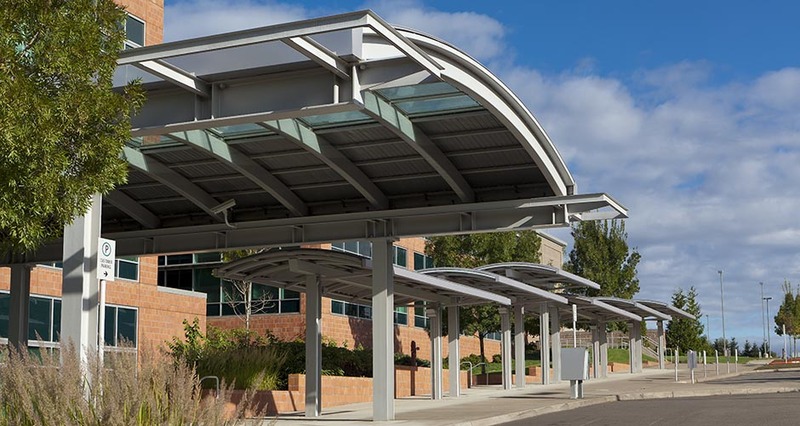 The first three buildings are linked by an enclosed, elevated pedestrian walkway, with utility plant distributing services delivered via a pipe-racking system attached to the walkways. 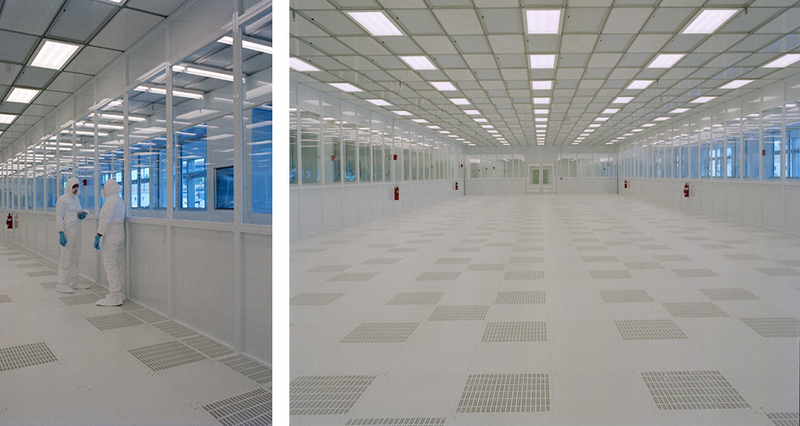 Cleanrooms are designed using FFU clean air distribution with through floor waffle slab (sub floor) for return air. Utilities are centralized in the CUB facility that is designed to fully support expansion in a future phase. 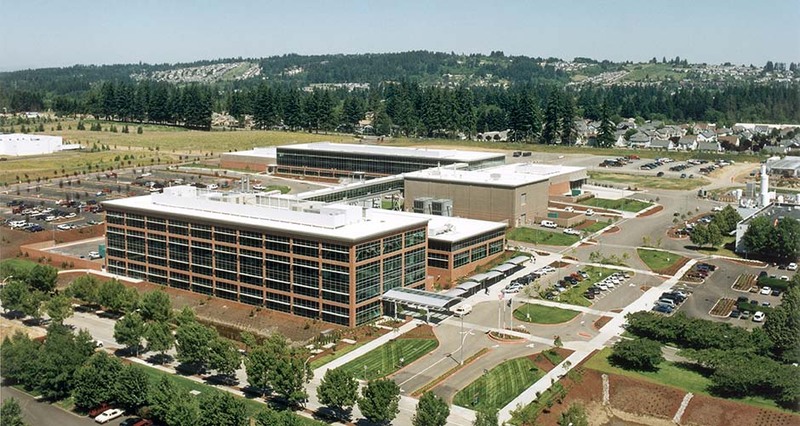 All facilities are designed for HPM storage, delivery, and distribution. 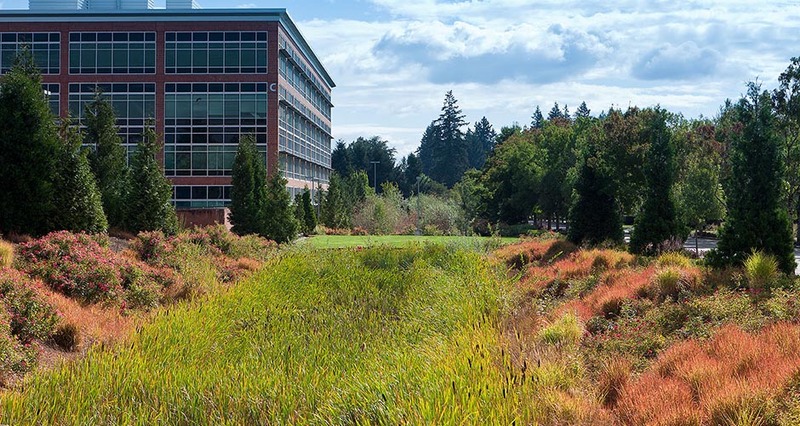 The site design includes dual-feed water systems (connections to City of Tualatin standard and high-pressure water systems); 2,000 LF of offsite 18” waterline; 1,000 LF of off-site sanitary sewer (public); and complete site storm detention and water quality facilities. 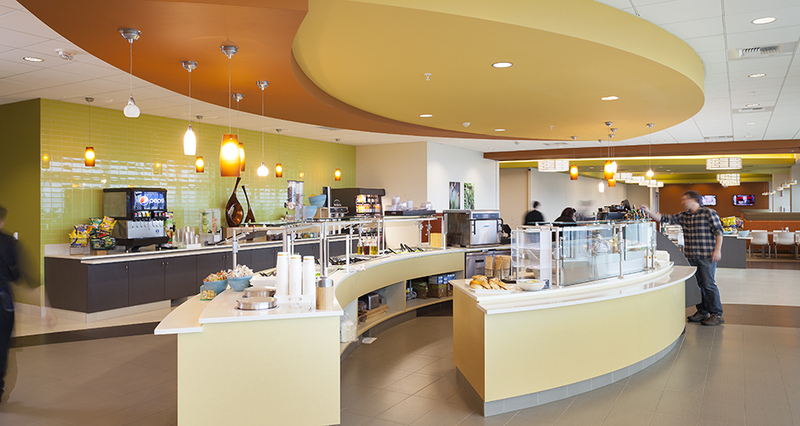 Mackenzie subsequently worked with Lam Research on the development of a new kitchen and café to serve the approximately 700 employees on the campus. 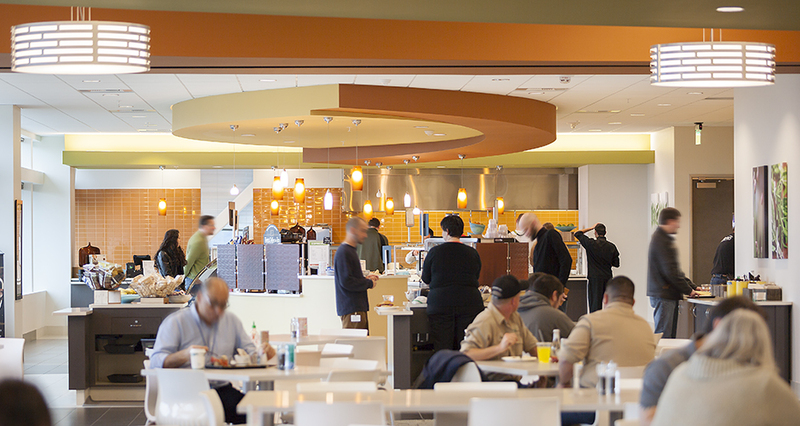 The completed facility features a 2,250 SF kitchen/food prep area, a 2,765 SF serving area, and a 2,930 SF dining area separated by moveable partition from an additional 3,300 SF of space available for large gatherings.